The Webrats Media home is currently being rebuilt. To see what we can do please choose from some of our developments below. Copyright 2010 © Webrats Media - part of the in2media group. All Rights Reserved. Website created by us! 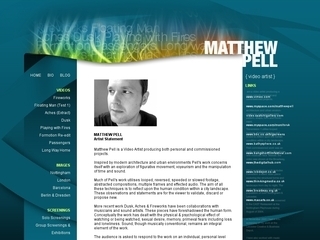 Matthew Pell is a video artist producing both personal and commisioned projects. His website was created to portfolio this work, and includes a custom developed blog. 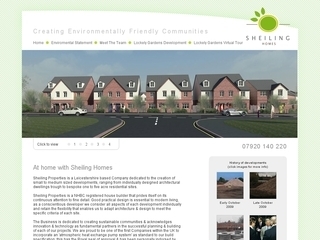 Shieling Homes are a new housing developmet company who are intially creating a small development in the Leicestershire village of Sapcote. Their corporate branding and website were developed by us to reflect their company as being the environmentally friendly housing developer that they are. Bee Fayre is a company dedicated to providing bee products while ensuring the protection of the bee population. The Bee Fayre website was developed upon Wordpress, with bespoke plugins being developed to allow for products to be added and sold easily. Rose Property Services are a leading specialists in the excellent delivery of contracted cleaning, gardening and window cleaning services. 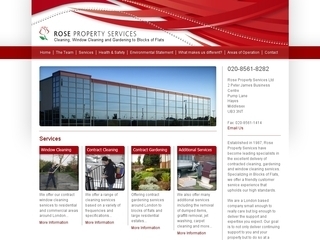 The Rose Property Services website was developed to represent the company as the professional and friendly company that they are. Search Engine Marketing was also carried out for this website in order to get the company more leads. This project was carried out as part of the in2media group.